We need to consider both the recent and long-term history of the DC Extended Universe (DCEU) to put Wonder Woman (2017) into its proper context. The recent half-decade run of mediocre DCEU films – shepherded in one fashion or another by Zach Snyder such as Man of Steel (2013) and Suicide Squad (2016) – established a very low standard for audiences. We are only too eager to embrace the first, halfway decent DCEU film to come our way. Is Patty Jenkins’ Wonder Woman a great film? No, but it is a pretty good one, which easily surpasses this recent run of mediocrity. In doing so, we can only hope it cements Snyder departure from DC and strengthens Jenkins’ role in future films. Surprisingly, the long-term history of the DCEU actually constitutes 16 films over the last 40 years. It is true all but two of these films feature Batman and Superman with the former proving far more successful than the latter, especially the first two films by Christopher Nolan and Tim Burton, respectively. 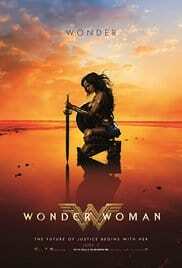 Over this 40-year history, Jenkins’ Wonder Woman comfortably sits atop the middle tier of films such as The Dark Knight Rises (2012) and Batman Forever (1995). It does not have the greatness of Nolan’s The Dark Knight, Burton’s Batman, or even Richard Donner’s Superman but it is close in quality to the last one.